strict warning: Non-static method view::load() should not be called statically in /www/htdocs/w009dabe/sites/all/modules/views/views.module on line 823.
strict warning: Only variables should be passed by reference in /www/htdocs/w009dabe/sites/all/modules/date/date/date.theme on line 219.
strict warning: Declaration of views_plugin_display::options_validate() should be compatible with views_plugin::options_validate(&$form, &$form_state) in /www/htdocs/w009dabe/sites/all/modules/views/plugins/views_plugin_display.inc on line 1684.
strict warning: Declaration of views_plugin_display_page::options_submit() should be compatible with views_plugin_display::options_submit(&$form, &$form_state) in /www/htdocs/w009dabe/sites/all/modules/views/plugins/views_plugin_display_page.inc on line 457.
strict warning: Declaration of views_handler_field_broken::ui_name() should be compatible with views_handler::ui_name($short = false) in /www/htdocs/w009dabe/sites/all/modules/views/handlers/views_handler_field.inc on line 243.
strict warning: Declaration of content_handler_field::options() should be compatible with views_object::options() in /www/htdocs/w009dabe/sites/all/modules/cck/includes/views/handlers/content_handler_field.inc on line 170.
strict warning: Declaration of views_handler_sort_broken::ui_name() should be compatible with views_handler::ui_name($short = false) in /www/htdocs/w009dabe/sites/all/modules/views/handlers/views_handler_sort.inc on line 82.
strict warning: Declaration of views_handler_filter::options_validate() should be compatible with views_handler::options_validate($form, &$form_state) in /www/htdocs/w009dabe/sites/all/modules/views/handlers/views_handler_filter.inc on line 584.
strict warning: Declaration of views_handler_filter::options_submit() should be compatible with views_handler::options_submit($form, &$form_state) in /www/htdocs/w009dabe/sites/all/modules/views/handlers/views_handler_filter.inc on line 584.
strict warning: Declaration of views_handler_filter_broken::ui_name() should be compatible with views_handler::ui_name($short = false) in /www/htdocs/w009dabe/sites/all/modules/views/handlers/views_handler_filter.inc on line 608.
strict warning: Declaration of views_plugin_style_default::options() should be compatible with views_object::options() in /www/htdocs/w009dabe/sites/all/modules/views/plugins/views_plugin_style_default.inc on line 25.
strict warning: Declaration of views_plugin_row::options_validate() should be compatible with views_plugin::options_validate(&$form, &$form_state) in /www/htdocs/w009dabe/sites/all/modules/views/plugins/views_plugin_row.inc on line 61.
strict warning: Declaration of views_plugin_row::options_submit() should be compatible with views_plugin::options_submit(&$form, &$form_state) in /www/htdocs/w009dabe/sites/all/modules/views/plugins/views_plugin_row.inc on line 61.
: preg_replace(): The /e modifier is deprecated, use preg_replace_callback instead in /www/htdocs/w009dabe/includes/unicode.inc on line 345. Ökonomische und demographische Prognosen sagen den radikalen Wandel im zukünftigen Bild vieler Städte voraus. Abseitige Brachen werden alltäglich – sie werden die inversen Gesichter der Stadt. Doch die toten Brandings des rasanten Strukturumbruchs erzeugen bei den Bürgern einen anhaltenden Moment der Ratlosigkeit. 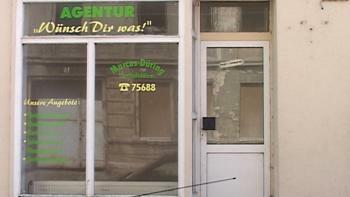 Und für die Experten des Urbanismus sind sie das realexistierende Negativ ihres Ideals von Stadt. Muss aber Leere wirklich den Verlust des „Urbanen“ bewirken? Als physisches Zeichen des Nicht-Mehr und Noch-Nicht künden die städtischen Brachen auch von der situativen Offenheit und neuen Möglichkeitsräumen. Sie könnten Ausgangspunkte einer kulturellen Erneuerung der Stadt werden. Kann das Phänomen „Stadtbrache“ in den Köpfen der Menschen positiv gewendet werden? NICHT-MEHR | NOCH-NICHT reflektiert den Möglichkeitsraum von Brachen. Eine neue Generation kultureller Interventionen auf Brachflächen werden vorgestellt: unkonventionelle Akteure, Projekte und Visionen, die sich mit der Reaktivierung von "Urbanität" auf verschiedenen terrains vagues beschäftigen. Dem Zuschauer werden Anregungen und Inspirationen für entstehende Freiräume geboten. Was kann die Botschaft der städtischen Brache an den Citoyen sein?